Inspired Color. Defined Performance. : Synthetic Turf: Is Your Stadium Ready for Next Season? Synthetic Turf: Is Your Stadium Ready for Next Season? Is your turf ready for some football? 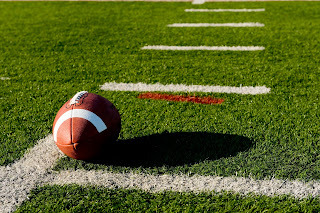 Synthetic turf is a popular choice for sports, with more than 11,000 synthetic turf sports fields currently in use throughout the United States according to the Synthetic Turf Council. But is your turf ready for some football? Synthetic turf has many advantages, including saving you anywhere from 500,000 to one million gallons of water each year, but you also want your turf to look good in the long run. Americhem has created solutions to help synthetic turf last longer and look better after years of wear and tear. To improve a product, you need to test it, which is why Americhem has thoroughly tested the impact of the environment on the durability of turf systems. Through our research, we’ve been able to develop custom color masterbatches, with additives that help protect turf against the threat of UV light and oxidation. Even after coming up with solutions that will offer superior colorfastness, color consistency, and long-term durability, our research isn’t done yet. Americhem’s central analytical department continues to perform tests to continue to improve our synthetic turf solutions. Americhem is more than just a supplier for the turf industry. We partner with you and fully integrate into your processes to help you enhance your existing products and bring them to market faster. Give us a call at 1-800-228-3476 or contact us online today to see the benefits of working with Americhem for yourself.